Wojciech (Voytek) Nowakowski was born in 1959 in a small city called Łęczyca, Poland - a city with 1000 years of history and many beautiful castles, old buildings and churches. He started to paint when he was about 8 years old. Penetrating old buildings and old ruins of castles looking for treasures and antiques, one day he found an old box of oil paints and some old paintings. He was charmed by the beauty of really old things and started to collect them, love, and appreciate them. He had the opportunity to regularly visit the museum, which was located in the Łęczyca castle, admiring old furniture, sculptures and of course paintings. 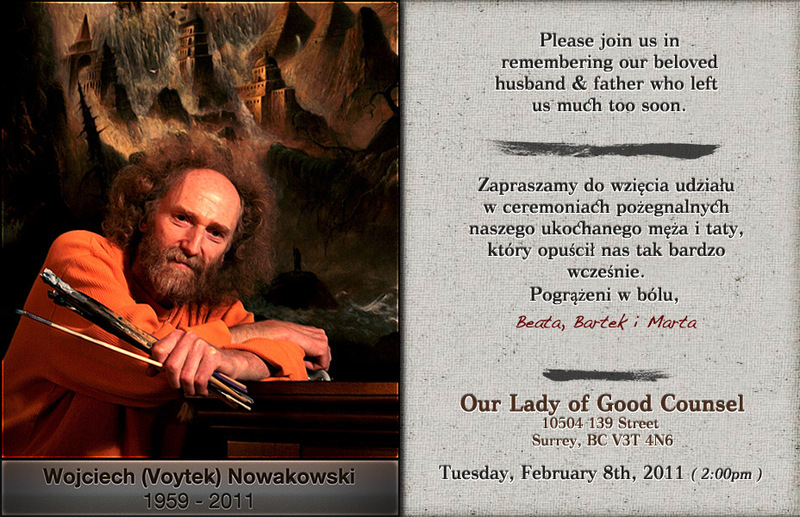 Those experiences and mysteries that surrounded Łęczyca had a huge impact on his work and life. The darkness of dungeons and legends about the greatest guardian of Łęczyca's treasure - Boruta the Devil - appears on his canvases quite often. 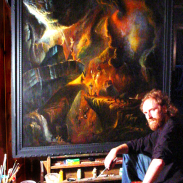 Since then, he used oil paints and old master techniques which he was influenced by (John Martin, Gustave Dore, Rembrandt, Rubens, Van Dyk) to create his own magical world from his imagination and dreams, about life and death in the atmosphere of mystery. Dante's Journey - The Art of Voytek Nowakowski from Bartek Nowakowski on Vimeo.